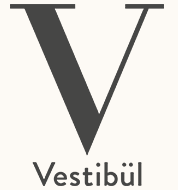 Vestibül and Hansen – two restaurants, one family. Each unique to its location, but all dedicated to highest quality food, drink and hospitality. Restaurateur Veronika Doppler and chef Christian Domschitz – two passionate veterans of the restaurant scene – share a common mission: setting the perfect stage for culinary enjoyment.